When it comes down to it, most sandwich “recipes” are actually just templates because there are so many options available in terms of bread, cheese, meat, vegetables and condiments you can use. 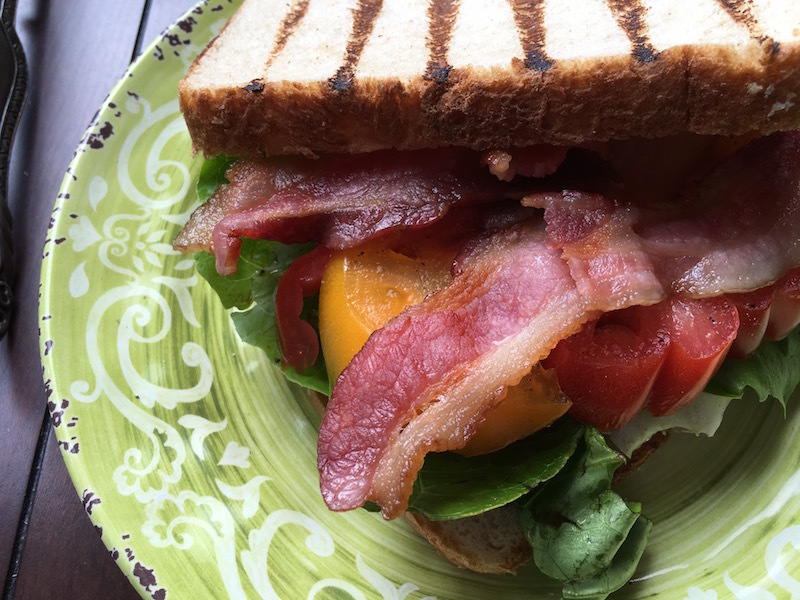 However, when it comes to the much-loved bacon, lettuce, and tomato (BLT), any purist will tell you that there is one “true” way to make and enjoy their beloved sandwich: super soft white bread, iceberg lettuce, mayonnaise (and lots of it), plus the requisite trifecta of sandwich-y goodness for which it is named. A little boring? Most definitely. To liven things up a bit, the “recipe” below takes a couple liberties with this tried-and-true classic. Super soft white bread is swapped out for a delicious sourdough, and plain mayonnaise is replaced with a rich and creamy avocado spread. For the avocado spread, place the avocado, Greek yogurt, and garlic in a glass bowl and combine thoroughly with a fork. It is okay to leave some small chunks of avocado in the mixture. Add the lime juice and cumin, then stir to combine. Season with salt and pepper to taste. Let sit for approximately 30 minutes to give the flavors a chance to meld. Adjust seasonings a final time before adding to the sandwich. Brush one side of each piece of bread with melted butter. Heat grill pan over medium-high heat and place bread, buttered side down, on pan. Apply light pressure to each slice with a spatula, being careful to not move the bread in the process. Once nice grill marks have formed, remove the bread from the pan and turn off the heat. Allow bread to cool slightly, then add avocado spread to 2 of the slices on the non-grilled side. Top with lettuce, tomato and bacon slices before adding the top piece of bread. Cut in half and serve with your favourite side dish or crisps.